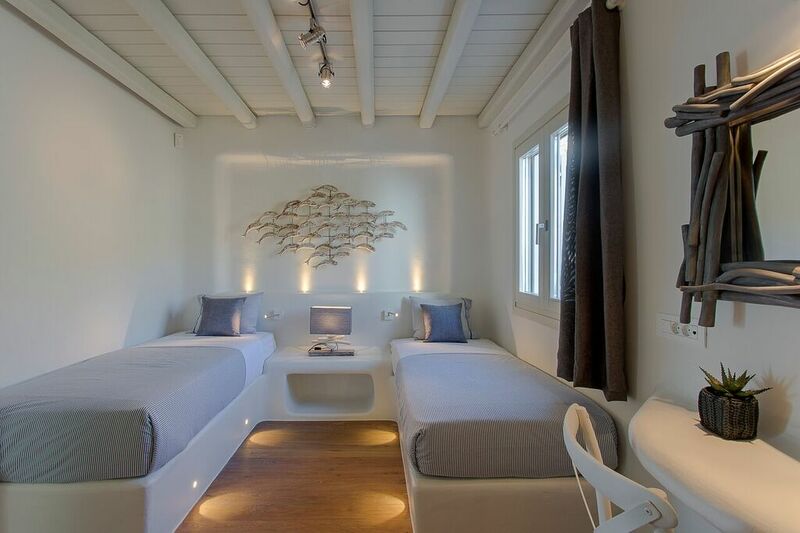 Villa Icarus has taken its name from one of the most known and fascinating Greek Myths, that of Daedalus and Icarus who flew high in the sky. 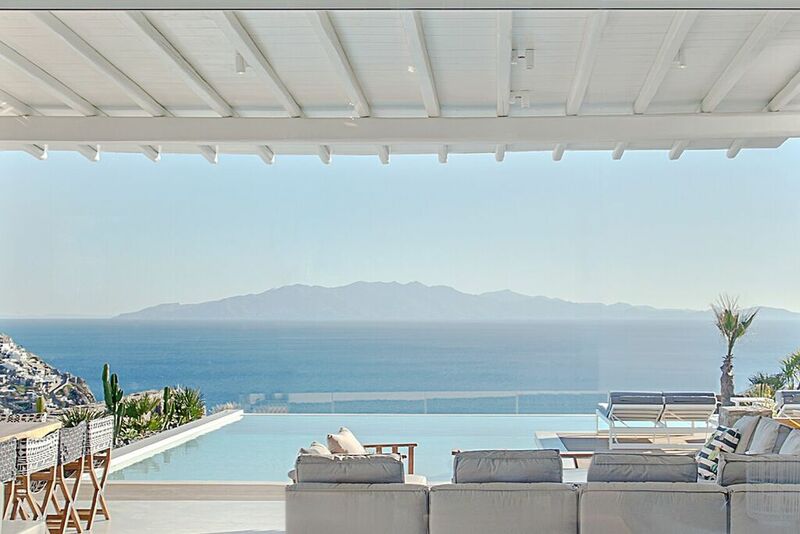 The experience of gazing at the limitless view which extends from Naxos Island to the Icarian Sea will take your breath away. 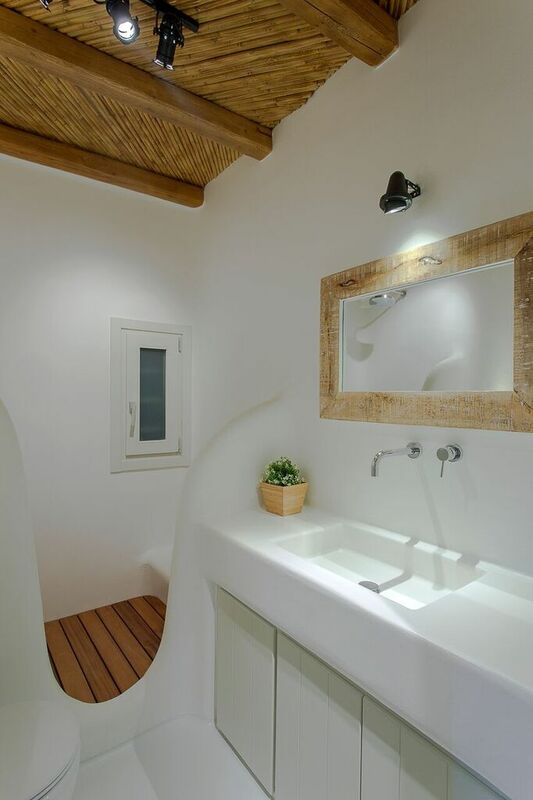 The stunning Villa consists of 7 spacious bedrooms (1 single) with en suite bathrooms plus 1 guest WC and accommodates a total of 13 to 14 guests. 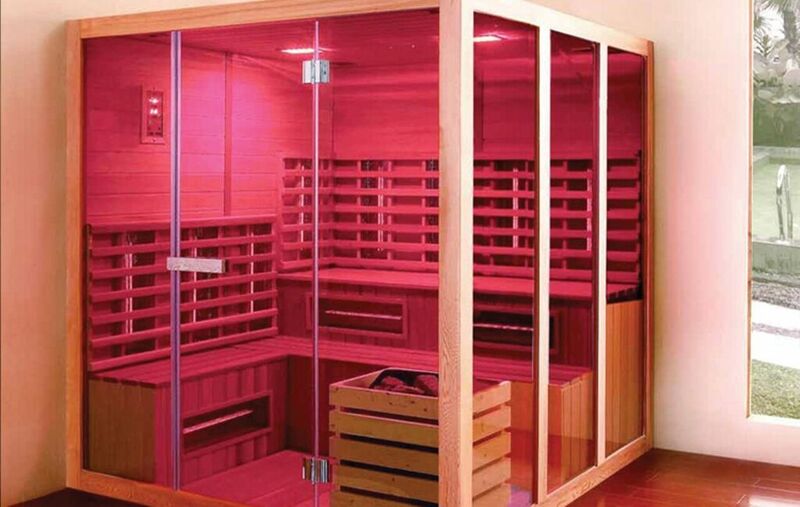 It has an exclusive use of a 2.000 sq. 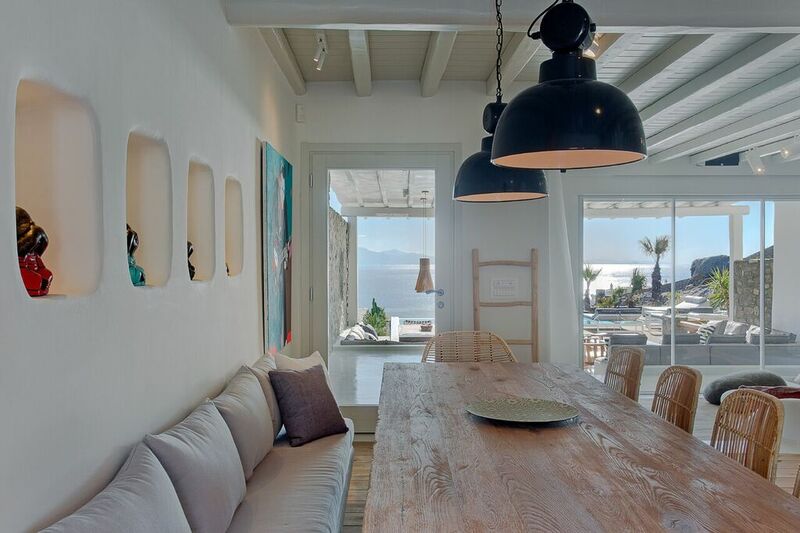 m. plot with flowers, cactuses and other decorative plants and offers an abundance of indoor and outdoor spaces. The 75 sq. m. private Infinity Pool is surrounded by green landscape, while the outdoor wellness area includes a gym and a sauna which share incredible sea view, built-in seating and sofas and a large dining area. 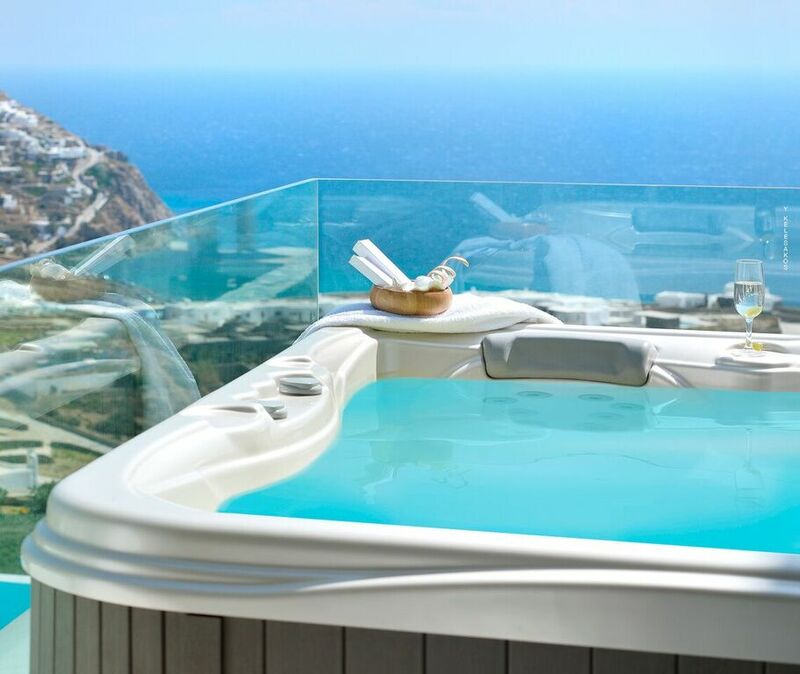 An extra air Jacuzzi can be found on the 1st floor balcony, next to the master bedroom. 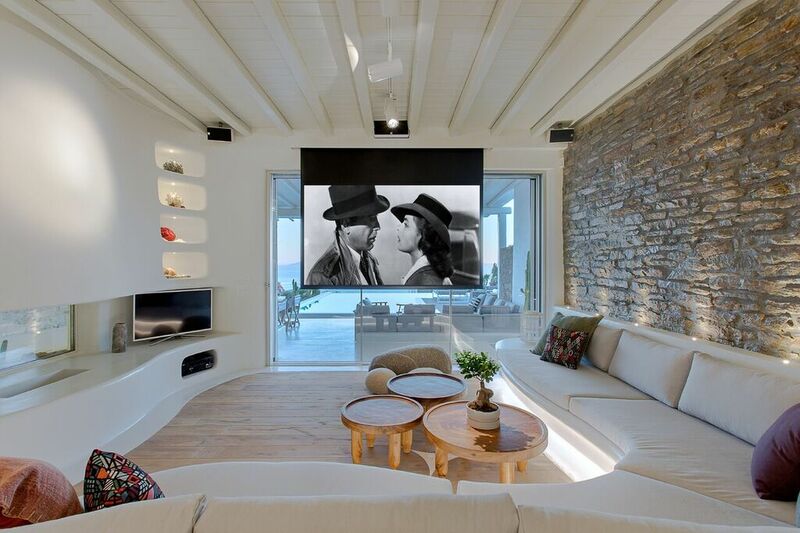 The Villa is fully equipped with the latest technology audio and video systems, including Smart TVs in every bedroom), a PlayStation area and a fully equipped Home Cinema with a ceiling projector. 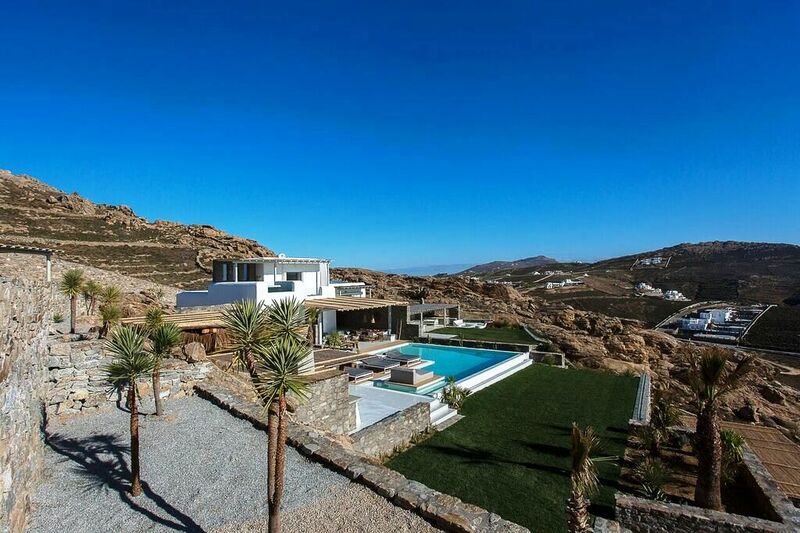 A private parking lot for up to six cars is featured in the Villa plot while the region of Elia is less than a 20 minutes' drive both from Mykonos Town and the island’s airport. 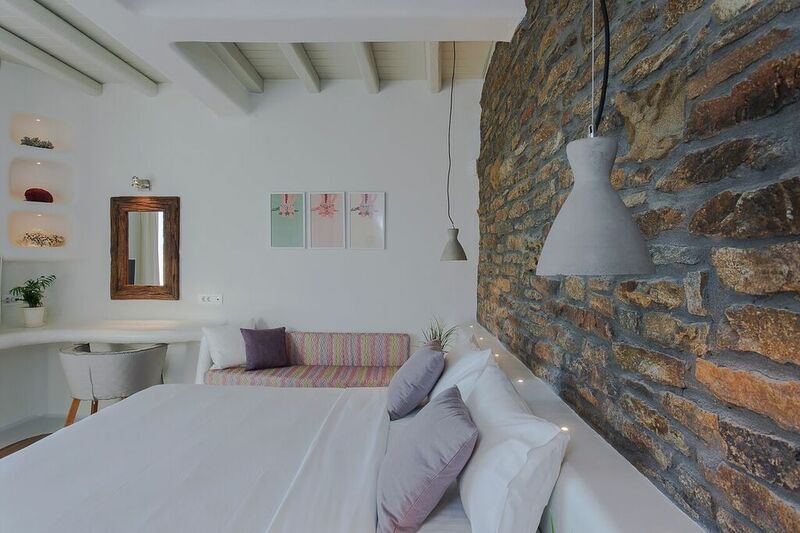 Villa Icarus is a twin property of our Daedalus Villa!